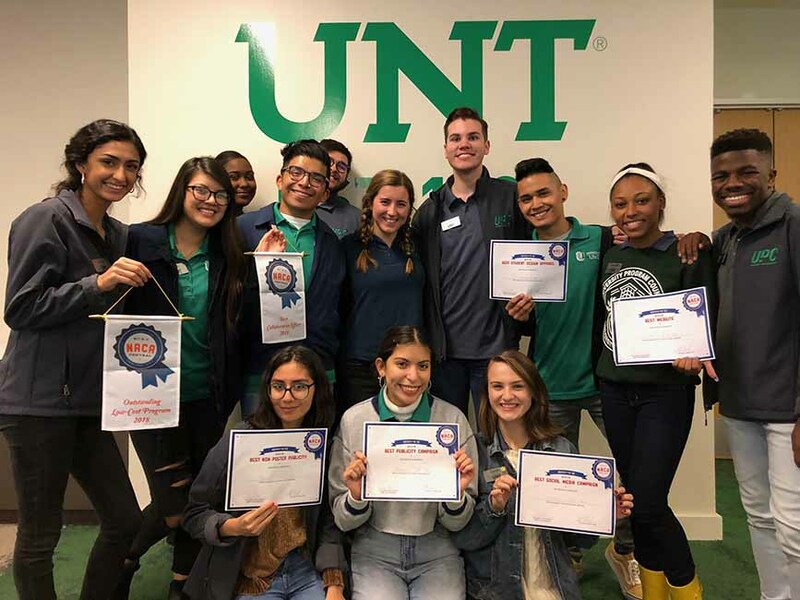 The UNT University Program Council (UPC) had an impressive showing at the 2018 National Association for Campus Activities (NACA) Central Regional Conference in Arlington, Texas, on Oct. 4 – 7, presenting two educational sessions and winning several awards. UPC presented “Making the Brand: Creating a Live Music Experience,” which focused on the branding and implementation of its live music programming at UNT. The other presentation, “Engaging and Retaining Your Programming Board Membership,” focused on the structure of membership within UPC and what steps are taken to engage and appreciate the student volunteers in the organization. For more information on UPC, visit http://studentaffairs.unt.edu/org/university-program-council.